Crabtree Jones House Open for Public Tours This Week! 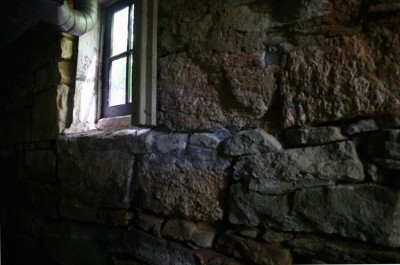 Now is your chance to tour a Raleigh architectural treasure. Through the efforts of Preservation North Carolina (PNC), the historic Crabtree Jones House was rescued from demolition and moved to a site nearby earlier this year. Public tours of the relocated structure will be held this Thursday, July 31, 5-8 pm, with a repeat tour on Sunday, August 3, 1-4 pm. This may be your last opportunity to explore both the exterior and interior of this gem of Federal style architecture. More details follow below. 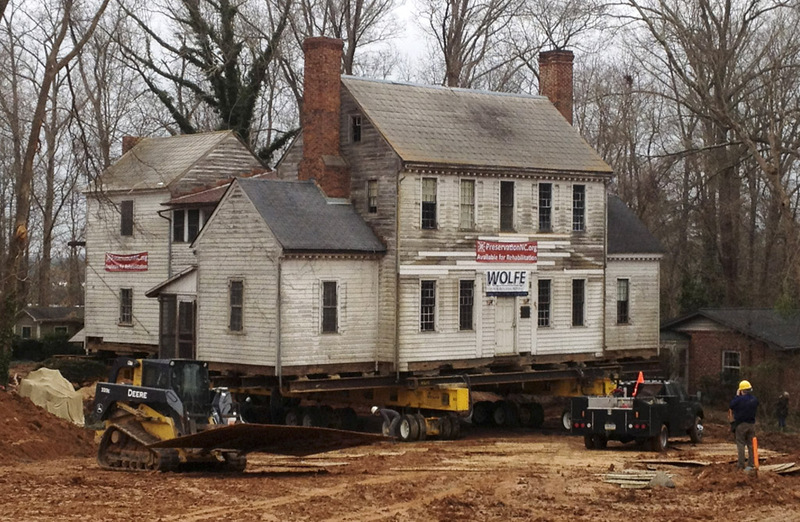 Join us on the evening of Thursday, July 31 for your first chance to see the Crabtree Jones House after it was moved in February. We’ll be there from 5-8 pm along with Big Boss Brewery and American Meltdown! A suggested donation of $10 gets you an ice cold beer and a tour of the house. American Meltdown will be there serving up delicious sandwiches so that you and your friends can make an evening of it! 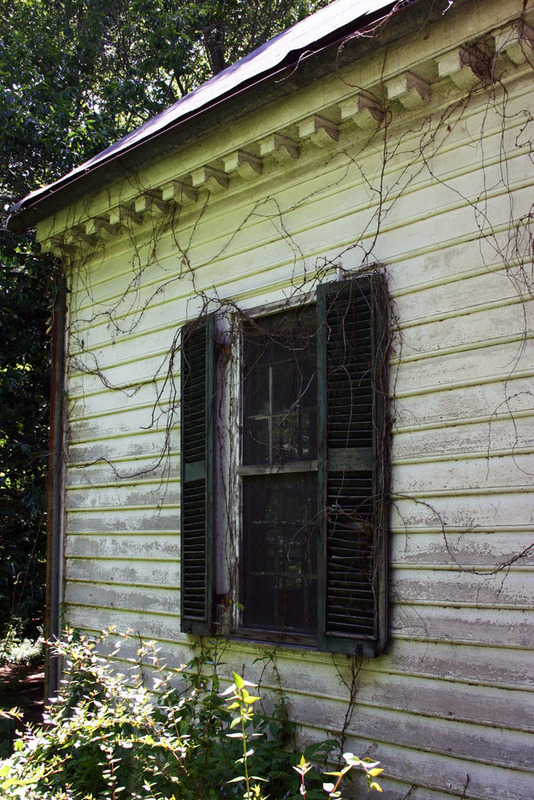 Click here to learn more about the absolutely amazing Crabtree Jones House, currently offered for restoration through Preservation NC! 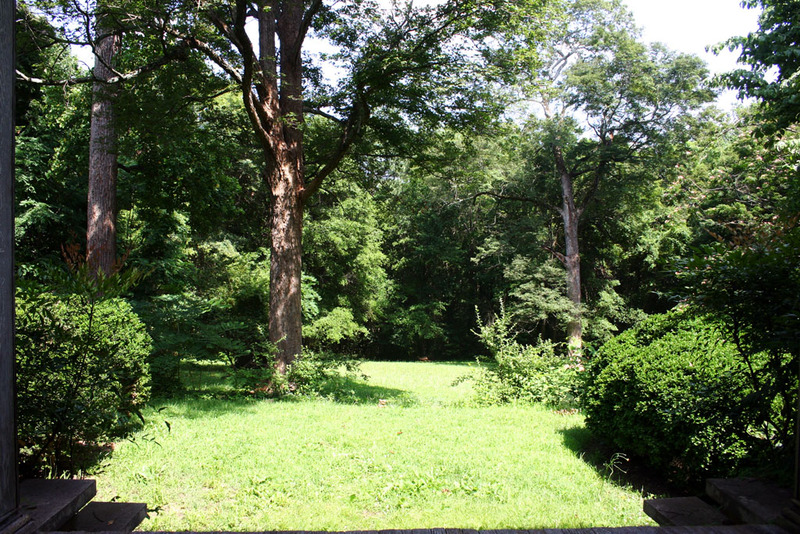 Please note that the grounds as well as the house are not handicap-accessible. Participants should wear comfortable shoes and be prepared to walk on uneven terrain. The house is located at 3108 Hillmer Drive in Raleigh. Please do not park on Hillmer Drive or the streets in the neighborhood. Free parking has been provided at 343 E. Six Forks Rd. Simply walk along the sidewalk and up Hillmer Drive (0.4 miles). 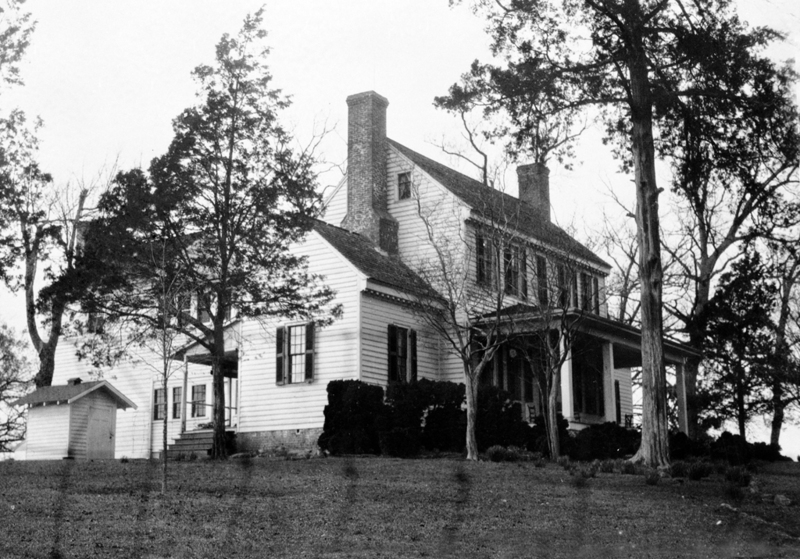 Nathaniel “Crabtree” Jones erected the Federal style house atop a hill overlooking Wake Forest Rd. about 1795. 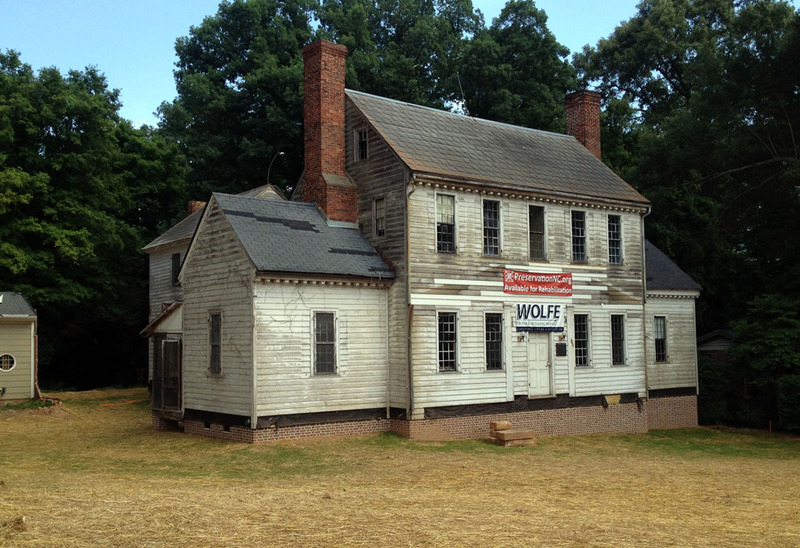 It was the centerpiece of his expansive Wake County plantation. During the ensuing 70 years the farm prospered under the management of three generations of the Jones family. Following the Civil War operation of the farm diversified and the vast plantation acreage was gradually sold off. By the mid 20th century only 15 acres remained intact, with the stately house standing still proudly at the core. This is how the Crabtree Jones House appeared in the mid-1920s. After nearly 200 years of ownership, the Jones family sold the property in the late 1960s; development seemed inevitable. 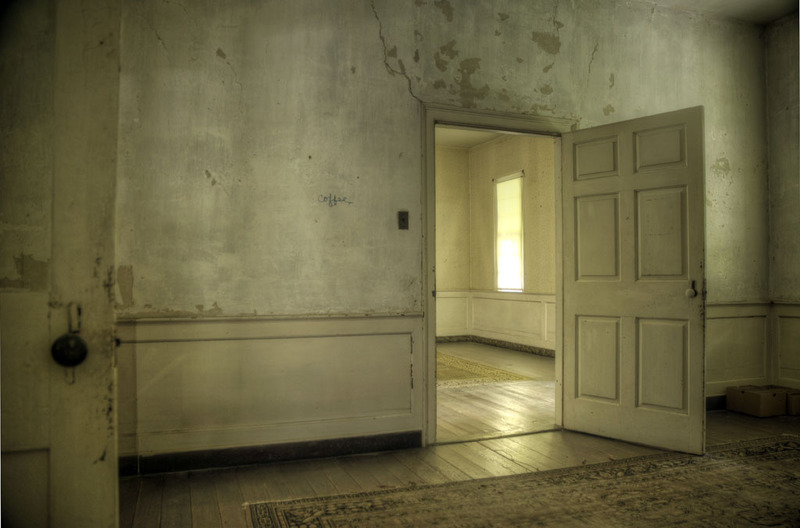 However, immediate development did not occur, and though neglected and poorly maintained, the house and property remained intact into the first decade of this century. 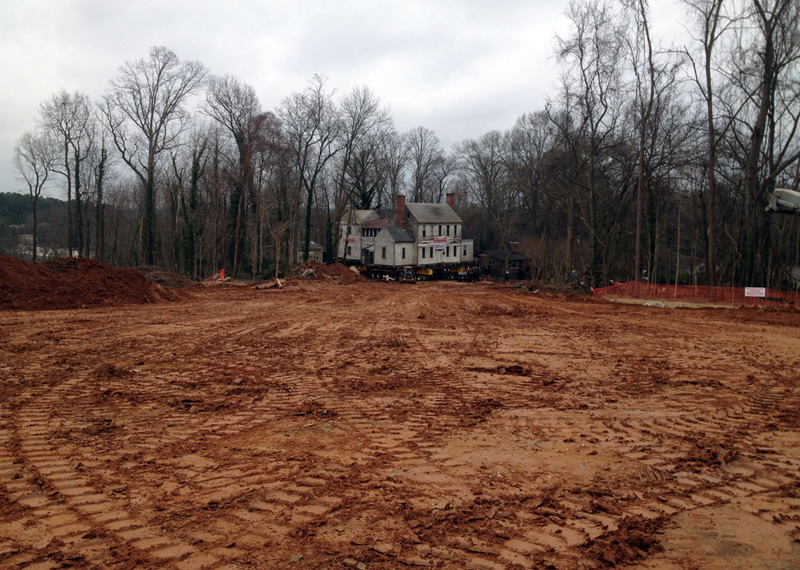 Then, in 2012 the 15 acres surrounding the house was placed under contract to be developed into 243 apartment units, and Raleigh’s legendary historic Crabtree Jones House was slated for demolition. 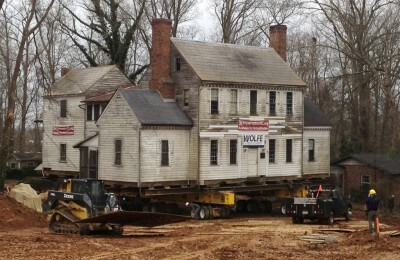 Happily, through the efforts of Preservation North Carolina, the house was saved and relocated nearby. 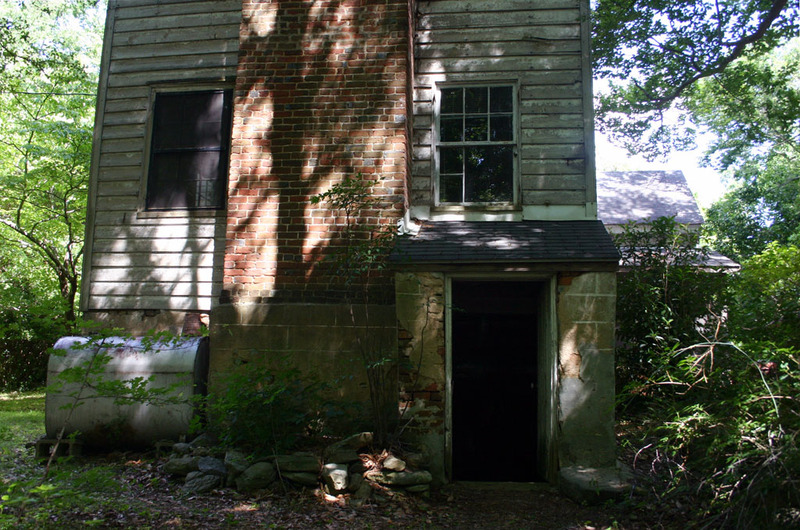 The historic home is being offered for restoration as a private residence. 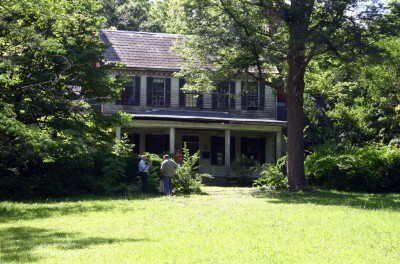 This is how the Crabtree Jones House appeared during a PNC public tour last year. The view from the front porch, looking toward Wake Forest Rd. The dentil molding seen on the cornice of this one-story wing is an architectural detail used throughout the exterior the main body of the house. The entrance to the multi-chambered basement of the Crabtree Jones House. 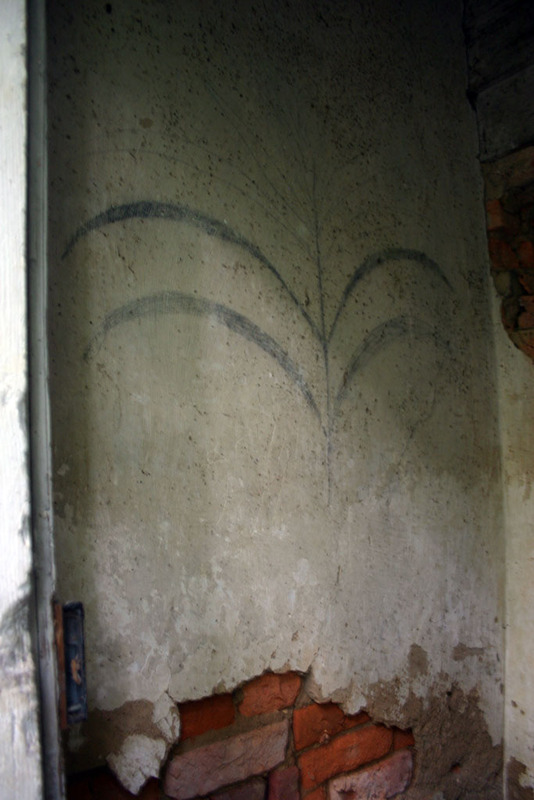 Under the house — a detail of the basement stonework — and, a curious drawing of a cornstalk penciled onto a plastered wall in the basement. Inside the house — Federal period styled woodwork is featured throughout the main rooms of the interior. The doors and paneling were probably once treated with faux finishes. 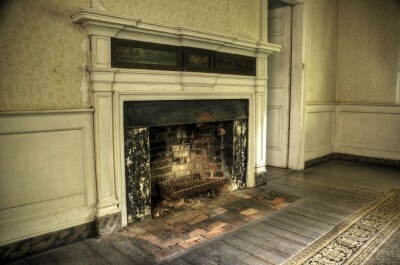 A fine Federal-style fireplace mantle is the focus of the principal room on the first floor. Note the the naturalistic scenic views painted on the panels, and the faux marble baseboards, surviving decorative features of the period. 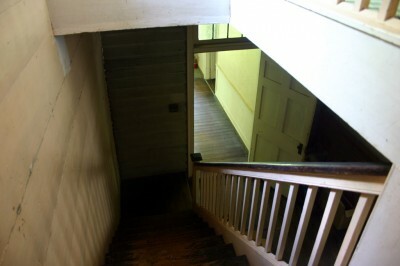 A narrow staircase located in an enclosed stair hall leads to the rooms on the second floor. 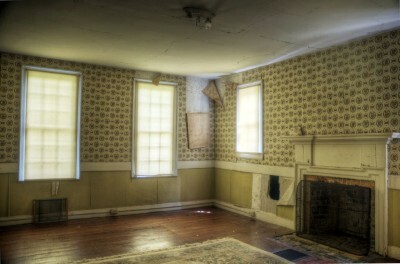 Seen below is one of the second floor rooms. 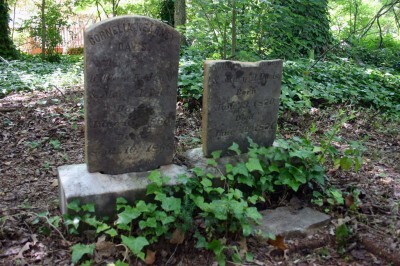 Grave markers of members of several generations of Joneses occupy the family cemetery, which is located nearby. Before the move, the Crabtree Jones House peeks out from behind a huge mound of red clay deposited in the front yard as the the hill itself is leveled. 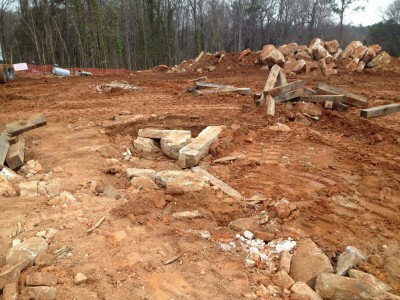 The view below shows the relocated house at its new site as seen from where it once stood at the top of the hill. 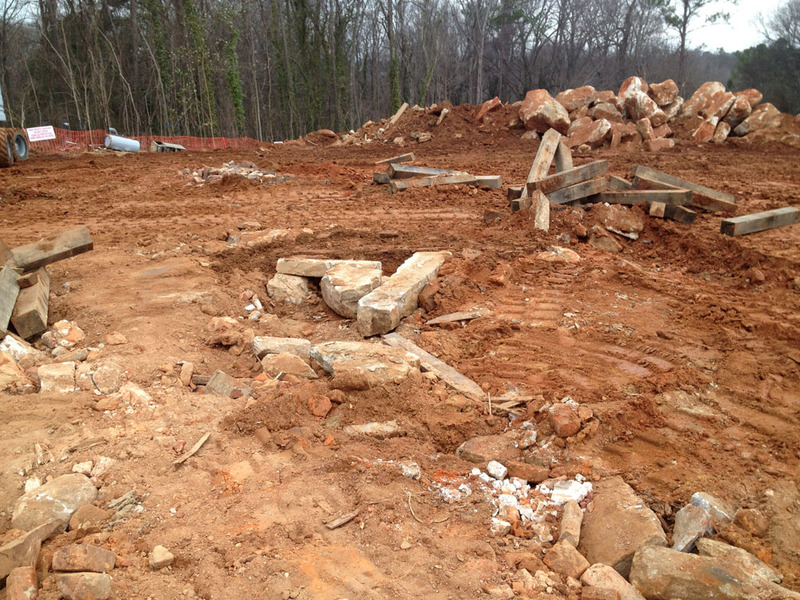 After the move, only granite foundation stones and rubble marked the site of the Crabtree Jones House where it had stood for more than 200 years. 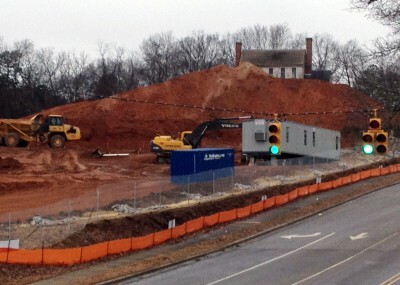 The massive structure, which was moved as a single unit, is nudged into place at its new site. Seen below is the stabilized house as it appears now, sitting on its new foundation. 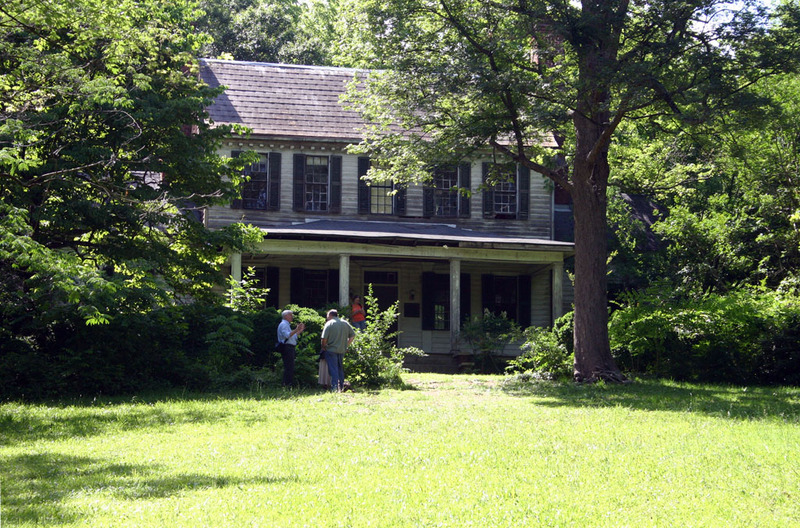 The Crabtree Jones House is on the National Register of Historic Places, and has been designated a Raleigh Historic Landmark by the Raleigh Historic Development Commission. Unless otherwise attributed, all photos by Raleigh Boy. Karl, My husband’s great grandmother several generations removed was Nancy Jones Hudson, daughter of Lewis Jones. 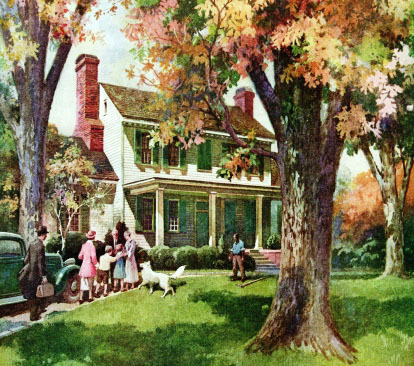 His will indicates that he left his home to Kimborough, and another nearby to Seth. 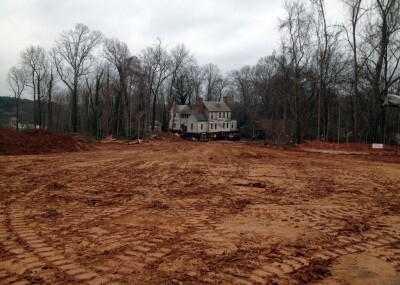 Do records show the “Crabtree Jones” house to have been built by their father, Lewis Jones? Can anyone confirm? 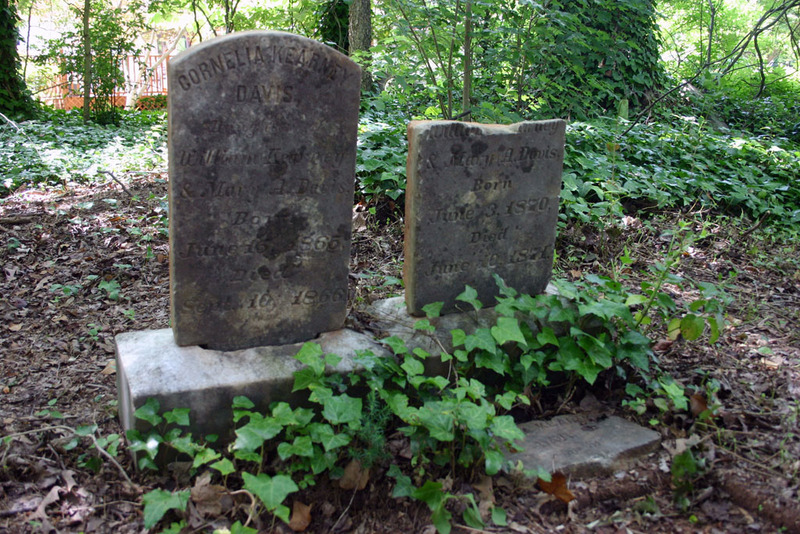 Does any list of cemetery residence exists? Help! As owner of Waverly Plantation(1825 Federal) in Person county, I am excited to see this home being restored. Our restoration has been going on since 1977 and is constant. Good luck to the group that takes on this amazing task. Superlative house. I commend you on its saving. Well done. NB Murray, Kimbrough Jones grave is in the family cemetery on the street the house now faces. Its not super obvious but if you’re used to looking out for stones sticking up out of ivy, you’ll see them to you left half way up the street from Six Forks road, on your left. I didn’t read all of the grave markers there, but definitely saw Kimbrough’s.